This ring is made by fusing many pieces of silver together to form a silver strip which is then used to make the ring. The fusing process allows the silver to melt together but maintain a simbulance of its original shape. Our careful use of torch, time, and metal flow guides but cannot control the way the metal behaves, thereby assuring a unique, one of a kind ring. 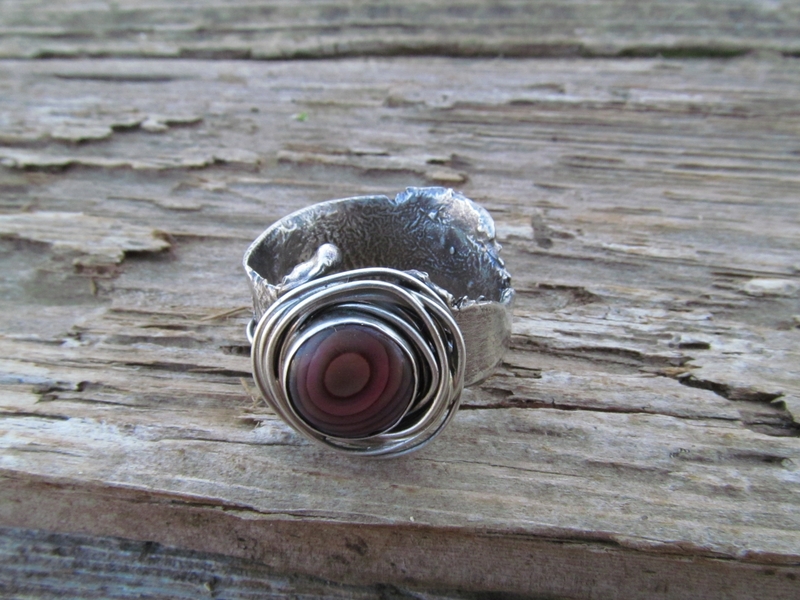 Silver wire wraped around a bezel set shell cabochon finishes off this beautiful ring. The size can be adjusted because the bezel is set on one side of the ring shank allowing the other side to be moved in or out to increase or decrease the size so you can have a perfect fit.